The first stages of athletic advancement entail creating body awareness, strength and fitness. Upon this core, advanced skills and muscle coordination can be develop for any sport. Our Junior program introduces sport as fun, social way to get regular exercise while having lots of fun, which is important for younger kids. 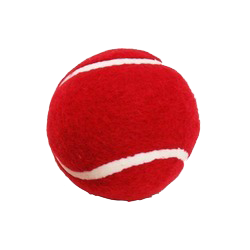 We use USTA regulation Red training balls (Quick Start). This group will focus on motor skills (ladder, cones and donuts exercices) racquet readiness activities, hand-eye coordination (catching and bouncing exercises), initiation and fundamental drills and motions of tennis and lots of fun productive games. All activities will be done in 36-ft courts. By transitioning from the catching and hitting the red balls (balls 15% bigger than the regular ball and 50% less pressure) to playing with the future orange balls, we are increasing the faster success of all beginner students. Our ultimate goal is to introduce them to Quick Star red ball tournaments. Students in the same age group with more experience or more advanced motor skills could be moved to the Future Stars group. This class goes year round on 4 week sessions. *If enrolling during the session make up classes will be available!